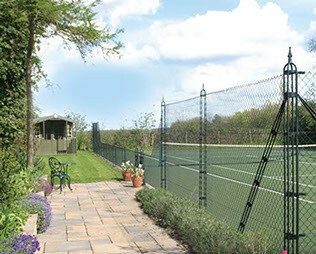 Pladek is an excellent all-round tennis court surface that plays beautifully and offers a sound grip in dry or wet conditions. 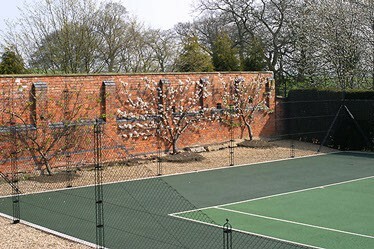 Pladek is a long-established playing surface that can be found in a wide variety of locations from homes, schools, colleges, universities, tennis and sports clubs to superior courts in public parks. What makes our Pladek surface popular is our attention to detail during the construction of a new sports facility. We pride ourselves in attention to detail at every stage of the construction process and, above all, in the way that our Pladek surface plays. Pladek is a smooth, even, well-rolled surface that provides consistent playing characteristics. This is key to enjoying play as well as long life for the surface. Our specially formulated bitumen macadam provides a smooth, well compacted surfacing course ready to receive our Pladek acrylic colour coat finish. This is spray applied to the macadam. The Pladek colour coating is specially formulated to provide improved grip by its use of silica-based additives that are incorporated into the colour coating at the time of manufacture. The Pladek finish reduces the surface friction of the court in a controlled manner, whilst retaining a sound grip for playing in the wet. However, it may be slippery when just damp. We offer a range of Pladek colour options for the finished surface, together with line marking for your chosen sports. The Pladek colour coating is UV-resistant and protects the macadam layers below from ultra-violet degradation and surface wear. The life expectancy of the completed court project is therefore enhanced. With reasonable levels of after care and maintenance, it will give many years of consistent playing characteristics. Drawbacks: Pladek is a hard court with no cushioning. 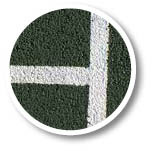 If cushioning is important, but you definitely want hard court play characteristics or netball is a priority use, we have the answer in TexPlay® 2, a polypropylene, diamond patterned, needle punch material. Our Pladek surface requires a low level of maintenance in order to maintain its optimal playing characteristics. The surface will benefit from the removal of leaves and debris as they arise. Occasional deep cleaning and moss-killing four times per year will maintain the porosity and matrix of the surface. Depending on usage and environment, a Pladek surface will need to be re-sprayed after five to seven years. We offer ongoing maintenance, repair and after care by our dedicated maintenance department.